Uptown Update: Tiztal Re-Opens Tomorrow - Hooray! Tiztal Re-Opens Tomorrow - Hooray! Ready for an oatmeal shake and/or a great brunch? They'll be waiting for you at Tiztal Cafe, which will hold its Grand Re-Opening on Saturday! According to Facebook, "The wait is over, Tiztal Cafe will reopen for business tomorrow, Saturday, November 24, 2018 - normal business hours 8:00-3:00. Our gratitude for your patience is limitless. We can't wait to see you all tomorrow." 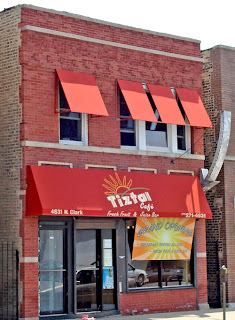 Tiztal is located at 4631 North Clark, and if you haven't tried it, you should. If you're a returning customer, you know how good it is. We are so happy to have them back.